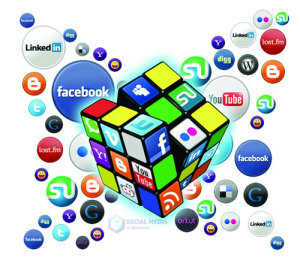 Nowadays the utilization of social media has spread all over the world including Bangladesh. We often say that technology has made the world smaller, but the social media has made the world even smaller. This social media became a place where we can connect with the rest of the world and get the latest news of current affairs as early as possible. The world is suffering from “social networking” fever for last several years. It has become a place for chatting, having fun, gossiping and passing leisure. Besides all of these, there are several incidences of cheating on people, harassing one another, bluffing which sometimes results in confrontments. If we analyze the recent stories about social media, it will give us the insight of many positive aspects that can serve the society. We saw the people of Egypt make a movement at Tahrir Square against an autocrat with the help of social networking sites. The people of Egypt used social networking as a key tool in expressing their thoughts concerning unjust acts committed by the government. Being capable of sharing an immense amount of uncensored and accurate information throughout social networking sites has contributed to the cause of many Arab Spring activists. Through social networking sites, Arab Spring activists have not only gained the power to overthrow powerful dictatorship, but also helped Arab civilians become aware of their communities. Bangladesh is now a heavenly place for social media. There are a lot of online news portals. These news portals offer us the latest news within the shortest period of time. There are many Facebook pages that works as news media, they often shows us outlying area’s news with photos and videos. There are several online radio channels that entertain us. Very often we see several discussions and debate on national or international issues that are happening on those blog sites, Facebook, and twitter as well. These are making people conscious about the current news and affairs. In addition, the social media has made it very easy, convenient and cost effective to raise awareness on the important issues happening all around the world. Social networking sites, such as Facebook, is a social communication tool of epic proportions allowing both social interaction and an array of commercial purposes. Business men and women are using these sites to advertise and market their products and render services for their goods with ease. Social media has contributed immensely to the development of the e-commerce based businesses. It has also made the consumer easy to choose a necessary product from online. These social networking sites have become a place of choosing for the politicians. They are now using these sites to campaign for the election and finding it worthy of doing such campaign. People are discussing political issues and criticizing constructively through online. People are debating on the ongoing issues of the country. And these discussions surely are affecting people’s political views. Although these social networking sites are the platform where we can communicate with other peoples, make friends, share ideas, photos and get updated, it is very much addictive. Addiction on social networking sites are now a common phenomenon. Many young people are being addicted to these sites. They are wasting a lot of time surfing on these sites. They are found clicking on their Facebook, Twitter icons over and over, as if the newsfeed is going to change and show something different within seconds. Often they use it in their classrooms; obviously it is a sign of a wrong doing. Sometimes, feelings of distress and unpleasantness occur to a person if he or she is unable to gain access to their accounts. Another psychological fear has been diagnosed which is called “nomophobia” or no-mobile-phone-phobia, it is the feeling that people experience when their phone was left at home, battery dies or they are unable to access it, according to nomophobia.com. The fear causes a high level of stress that is created when unable to communicate through the cell phone at any time of the day. Some of the reasons people experience this fear is due to losing or forgetting their phone, SIM card failure, battery failure, running out of minutes, traveling, or from poor reception. Though these social networking sites offer networking opportunities, long-term problems remain hidden under a thick layer of status updates, likes, comments and tweets. There are some people who use it to create violence and anarchy. Many miscreants are using these websites to cheat and harass people. Some people, having evil intentions, use it to spread rumors. We have seen many cases of harassing women, eve-teasing, etc. through these social networking sites before. Also privacy intrusions, identity theft and countless crimes have occurred due to Facebook exposure. Thus, we can say that the invention of social media has changed our lives tremendously. If used correctly, some think, social media is much beneficiary for us. But comparing both the positive and negative aspects of it, would you say social media is a blessing or a curse to modern society?